Home > Vitamins > Vitamin A Deficiency Can Cause Growth Disorder To Blindness, Warn Your Children! Vitamin A Deficiency Can Cause Growth Disorder To Blindness, Warn Your Children! Vitamin A plays an important role in eye health, and in fact, vitamin A deficiency can lead to children growth disorder. The signs and symptoms of vitamin A deficiency in the body is very diverse. The most common symptom is the presence of abnormalities in the eye. For example, night blindness, cataracts, and decreased visibility. In addition to causing a decrease in the function of corneal blindness, it's also causes change the shape of bones, stunted growth. Deficient of Vitamin A also resulted in damage to the teeth, atrophy tooth-forming cells. A health expert says, this vitamin deficiencies also cause problems in the bowel, bladder, brain and spinal cord. In addition, diseases such as skin cancer that attacks the skin, rough skin, chapped skin and measles can also be caused due to lack of vitamin A. In the intestine and urinary tract, vitamin A is very influential in keeping the intestinal walls that can still work optimally as its function. As you know, that the intestine absorbs nutrients in a wide range of food and water. If just impaired intestinal wall as a result of vitamin A intake will be reduced and the influence of water and nutrient absorption was impaired. The result is a urinary tract infection due to the lack of optimal absorption of water each day. So the diseases of the bowel must be treated immediately in order intake of vitamin A can be maintained and not invite other diseases. The results also showed, vitamin A deficiency resulted in the destruction of bone and teeth formation. Even as a whole, would interfere with the child's growth. The experiments were conducted in mice and cattle shows, this vitamin deficiency inhibits the reproduction process. When it started there was a relationship between death allegedly by a lack of vitamin A, various studies carried out immediately. The results of the study presented is done in the UK (1937), Tanzania (1987), and South Africa (1990) showed that high-dose vitamin A supplementation can reduce infant mortality due to measles. What causes lack of vitamin A? 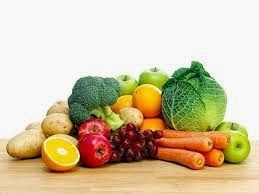 Consumption of Vitamin A in the daily diet does not meet the needs of the body in the long term. The process of absorption of food in the body is interrupted because of diarrhea, low consumption of fat, protein and zinc. What are the early signs and symptoms of Vitamin A deficiency? Night blindness, characterized by difficulty seeing in dim light or at dusk. The skin looks dry and scaly like a fish, especially in the lower leg front and back of the upper arm. How to prevent Vitamin A deficiency in children? Give exclusive breastfeeding for infants up to age 6 months and continued breastfeeding up to 2 years old. Consumption of foods with balanced nutrition and is rich in vitamin A in the diet daily (read at vitamin A foods article). Prevent worm infestation with a clean and healthy living behavior. Consumption of vitamin A as needed.